Are you heading to Oktoberfest this year? There's plenty to look forward to! Even if you don't listen to polka music when you're driving around in your car, you'll hopefully be waltzing along with the accordion and tuba by the end of your festival experience. There are all sorts of games that you'll only be able to play at that particular festival. When else will you compete to see who can hold up a beer stein the longest? Our favorite Oktoberfest activity? No, it's not the drinking, it's the food! There are sausages, baked sweets, and let's not forget the German classic pretzel with mustard. 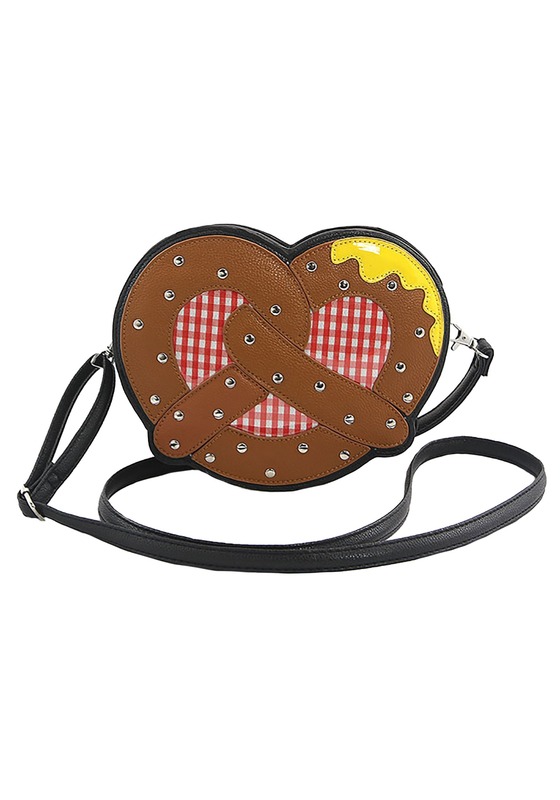 If you're dressing up for Oktoberfest this year, accessorize that adorable dirndl costume with a bag that celebrates the spirit of the day! This bag has just enough sparkle to stand out in a crowded beer tent. The pretzel has a gingham picnic background while the salt is depicted with adorable rhinestones! The touch of the mustard in the corner is just enough to get our pretzel cravings started. 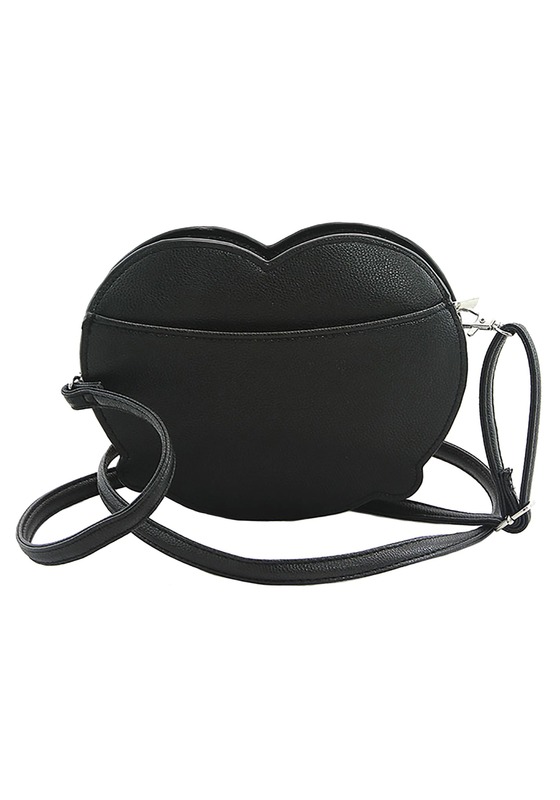 With an adjustable strap and a zippered top, there's no need for your Oktoberfest look to be ruined by your everyday purse! Our Oktoberfest advice? Dive in! Soak up all that Pilsner with a Wienerschnitzel, loop arms and celebrate the "one, two, three, four" of the band. And hey, never forget to embrace the best pretzel experience of your life! Bavarians really know what they're doing when it comes to salty twisted treats with fresh mustard sauces!